Our Goal: To provide Bibles to the poor and the needy as our Lord leads and provides. We are networ king around Africa accepting used Bibles, Books and other Christian materials, even damaged and parts of old Bibles, they repair them and give it to those in need. 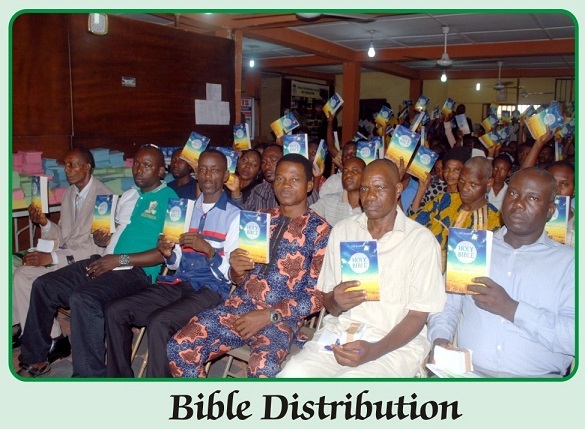 There is great need for Bibles, we still need more Bibles; it is our earnest desire that we might place a copy of the Holy Bible in EVERY home in my region – while at the same time reaching other part of Nigeria with the precious Word of God. Since Spread The Word operates as a nonprofit faith ministry, it is dependent on the Lord as He supplies. Spread The Word is grateful for those who share our burden and help meet the need of materials to keep the distribution running. Perhaps you would pray and ask the Lord how He might use you to ship us Bibles, Books, Literature and tracts or financially support this Bible College that is taking the Gospel on distribution to those who might otherwise never be exposed to it. The rewards are eternal. Thank you and God bless you. Only eternity will know the number of people saved because you cared to give. 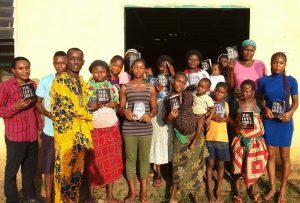 There is an open door in Nigeria like never before!” we don’t have Bibles; I could give out thousands and still need more!” Would you please consider about sending more Bibles to us?